Most people do not like garbage - in waking life or while dreaming! It's usually stinky and smelly and full of rotten things! So, it should not be surprising to you then to see garbage in your dream symbolizes something that is equally repulsive and needs to be disposed of. In dreams, our "garbage" is often tied deeply to emotions and feelings, such as old past feelings for someone who has no interest in us, or feelings of being worthless. The good news is, our dreams are here to help us understand what we are thinking and feeling! When we are able to acknowledge our true thoughts and feelings, we are then able to make the changes necessary to improve our situation. If you are dreaming of giant bags of trash, do not despair! This is a sign that you are ready to start making positive changes in your life! Feeling worthless: Garbage is most commonly seen as something which has no value. Are you feeling undervalued at work or in your relationships? Do you feel as if you are being treated badly? Emotional Baggage: Do you feel like you or someone you know might have a lot of emotional baggage they are carrying around? Many people harbor emotions and energy from past events for a long time, even when these emotions are not worth holding onto! Think about the context of the dream - was this your own trash or the trash of someone else? Being Repulsed: Pay attention to the feelings you experienced while you were having the dream. Did you feel disgusted or repulsed? There may be something going on in your everyday daily life that is bothering you, and you are not willing or ready to look at it yet. Littering: Litter is a common problem where people discard their trash in public spaces such as on sidewalks, on the sides of roads, or even in the grass. Litter in a dream can mean that someone is not taking care of their responsibilities. What type of garbage did you see? 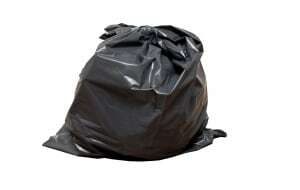 There are all types of garbage, from piles of old junk to bags of kitchen trash. Then you have dumpsters and landfills. Identifying the type and characteristics of what you see will help you know a little more about the dream. For example, to dream of a trash bag might suggest you are trying to conceal your garbage or are carrying a lot of emotions and thoughts around. A landfill might suggest you are overwhelmed by a negative situation that is happening in your life. Describe the garbage. Think of 5 words to describe the garbage. What emotions do you feel? Is there anything in your waking life that can be described the same way? Think About What You Need to Get Rid of in Your Life: Do you carry emotional baggage? Do you have anything in your life that seems disposable or you need to get rid of? Do you have any dream experiences about garbage and trash? What does this symbol mean to you? Share your thoughts in the comments section below.